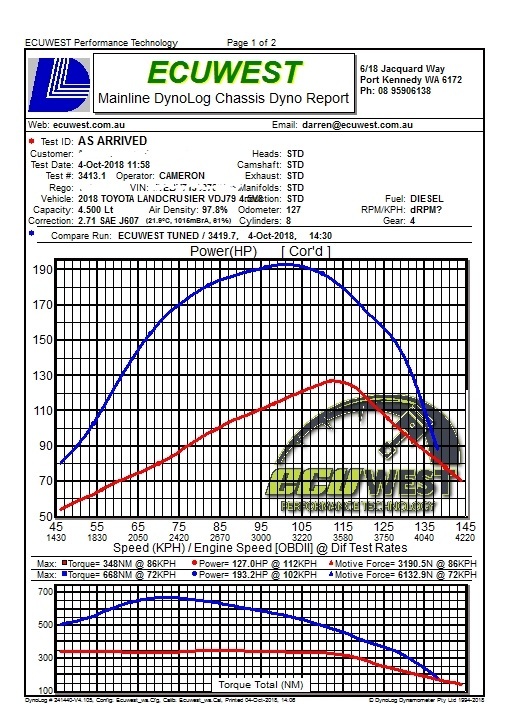 ECUWEST’s Toyota 70 Series Landcruiser (VDJ79R, VDJ78R & VDJ76R) Remapping yields massive gains of 45% more power and 90% more torque at the rear wheels with no decrease in reliability. Our remap also improves drive-ability and economy. The process requires the vehicle to be at our workshop (Or your closest ECUWEST dealer) for just the day, where our specialist tuners set the vehicle up on our All Wheel Dyno for a baseline dyno run. We then through our iterative tuning process, tune and revise the tune until it perfectly suits your car and its modifications. All this is done to a safe industry standard ensuring maximum reliability and longevity. 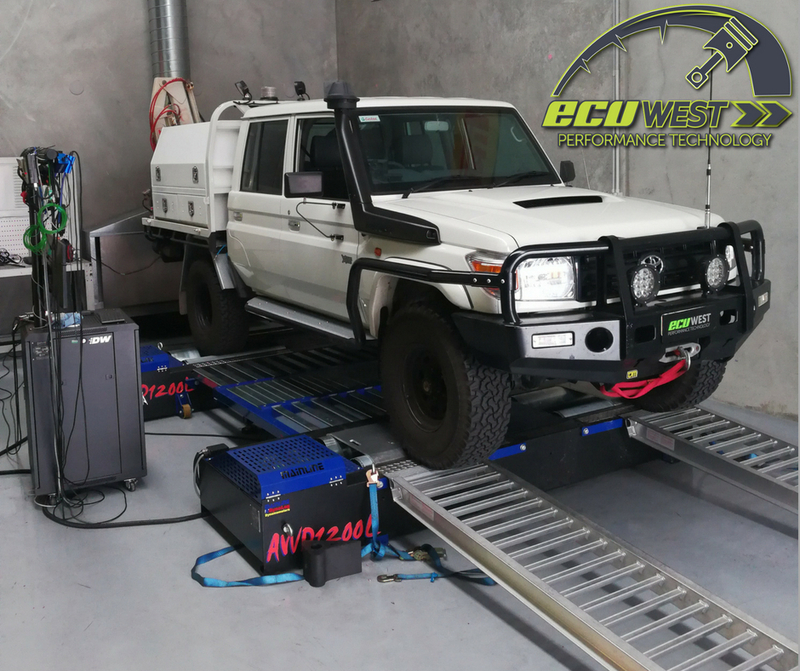 At ECUWEST we custom tune every vehicle that comes through our workshop in line with our Alientech Approved Tuning Process – which incidentally is how we train all leading tuning workshop technicians across Australia. Every vehicle is returned to the customer with a dyno graph showing the baseline or as arrived dyno run and final tuned run for your comparison as displayed in this example here.